In California, bar owners may be liable to pay damages if their security personnel assault their patrons in some situations. Even in cases in which the patrons were partly to blame, the patrons may still be able to recover damages that are reduced by the percentage of fault that they had for what happened. In Shawn Dearing v. Cabo Cantina, et al., the potential for liability of bar owners was demonstrated. Shawn Dearing was a 28-year-old man who was waiting outside of the Cabo Cantina for his friends to leave at 2 a.m. Dearing was leaning up against a rail that separated the bar’s property from the sidewalk. A security guard who was employed by the Cabo Cantina told Dearing to stop leaning on the rail, and an argument ensued. The security guard then walked off of the bar’s property and onto the sidewalk with Dearing following him. The security guard’s supervisor came outside but did not de-escalate the situation. Dearing slapped away the security guard’s hand, prompting the security guard to hit him in the temporal region of his skull. The force of the blow caused skull fractures, and he sustained an additional fracture in the occipital region that was caused by his head striking the sidewalk. He filed a lawsuit against Cabo Cantina, its management company, and the security guard company, which supplied the security guards for the bar. The plaintiff suffered fractures to his temporal and occipital bones and was hospitalized for three days following the assault. He was then left suffering from a moderate traumatic brain injury. He argued that the security guards violated the policies of Cabo Cantina by leaving the bar’s property, used excessive force and did not de-escalate the situation. The security guard company, Global Protection Group, turned over the case against it to its insurance company. The insurance company refused to defend against the case, allowing it to go to default. The remaining defendants stipulated to the agency relationship between the security guards and their companies in order to keep the jury from hearing evidence of their negligence in screening, supervising and hiring the security guards. They argued that Dearing struck first and that the security guard was merely acting in self-defense when he hit Dearing. They also argued that Dearing was highly intoxicated at the time of the incident and had simply started a fight that he then lost. The plaintiff submitted a §998 demand eight months prior to the trial in the amount of $1 million. One month prior to the trial, the plaintiff renewed the demand. The defendant let it expire without accepting it. The defendant submitted a §998 offer of $800,000 before the trial and of $1 million after the plaintiff rested his case. The trial lasted for 11 days before both sides rested. It was then submitted to the jury, which deliberated for one and one-fourth days before returning a verdict in the plaintiff’s favor. The jury’s gross award was $9,254,397.21. Since the jury allocated 42 percent of the blame for the assault to the plaintiff, his net award was reduced by that percentage. Since the award exceeded the §998 demand of $1 million, the plaintiff indicated that he would be seeking an additional $100,000 to pay for his expert witness fees and $400,000 in prejudgment interest. 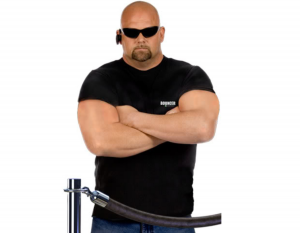 Security guard employers may be liable for their actions if they assault patrons after the guards were negligently hired and subsequently placed in positions in which the assaults were reasonably foreseeable. The security guard companies may be liable if they were negligent in their hiring, training and supervision of their guards. Businesses that retain the security guard companies for their guards may also be liable if they were negligent in their supervision or if the guards acted with excessive force. In cases involving intoxicated patrons who get into altercations with security guards, there are often issues of comparative negligence. Under California law, juries will determine the percentage of fault to allocate to each party. While having a percentage of fault in an assault will reduce the total award, it will not bar recovery of damages outright. For example, if a plaintiff sues a defendant, is awarded $1 million but is found to be 30 percent to blame, he or she will recover $700,000.